This is an encore episode that aired originally on February 1, 2014. 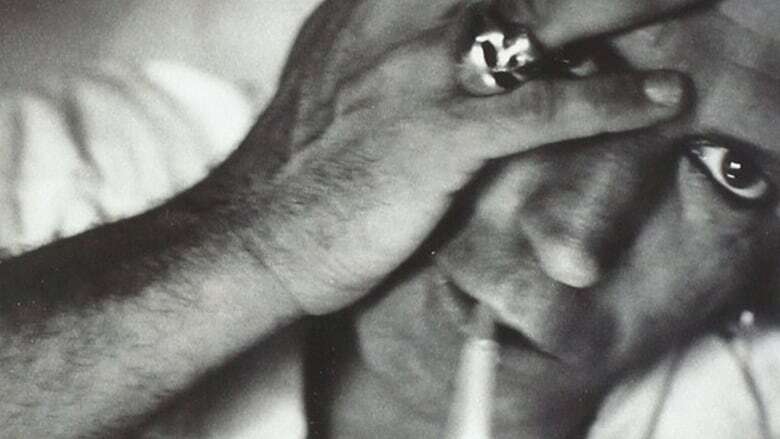 One night, in 1965, Keith Richards was lying face down on his bed in London, England. He had passed out after a night of partying. When he woke up in the morning, he noticed that the new cassette tape he had put in the Phillips recorder he always kept beside his bed had run out to the end. So he rewound it, and listened. There he heard two minutes of an interesting guitar riff. He didn't remember writing the chords, but he must have woken up from a dream and recorded it. 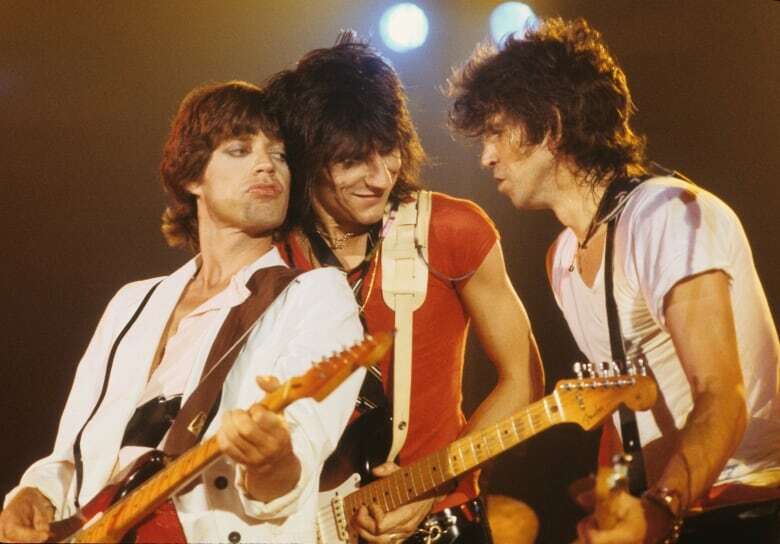 Mick Jagger, Ron Wood and Keith Richards. He knew that because when he played the tape back, he could hear himself grab his guitar, play the riff a few times, and drop the guitar pick - which was followed by 40 minutes of snoring. Eventually, he gave the tape to Mick Jagger and asked him to write the words. Richards didn't think the song was commercial enough for a single. But he was outvoted by the band, and the song was released. 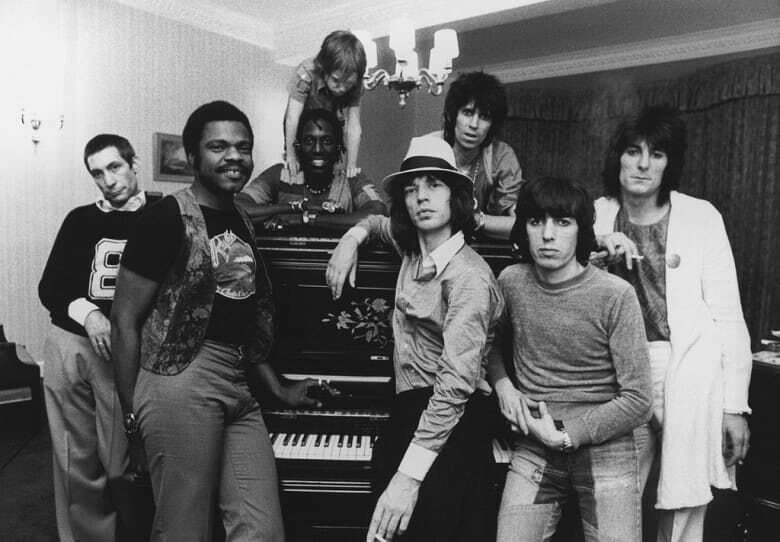 (I Can't Get No) Satisfaction became The Rolling Stones first number one record, staying at the top of the North American charts for four weeks. While the theme of the song was alienation, the subject matter… was marketing. When the band came to America, they could not believe the relentless commercialization and advertising hype they were subjected to. As Jagger later said, coming from Britain, they had never seen anything like it. The Rolling Stones together in a hotel room at 2am after a concert in 1976. Jagger sang about listening to commercial pitches, but never finding satisfaction, and used actual lines from ads he had seen. Satisfaction kicked the band into the stratosphere. It has since been celebrated as one of the best rock songs in history, ranking #2 in Rolling Stone Magazine's 500 Greatest Songs Of All Time. While the Stones railed against marketing in that song, they were to become one of rock's greatest marketers.